"Ten Tips for Intelligent Routing"
Building an intelligent contact routing strategy to improve customer experience level that considers customer value, resources, agent skills, priority rules can be challenging. Giving customers greater control over the communication process, in conjunction with more intelligent contact routing, will maximize the chances of getting customers the best possible customer experience. 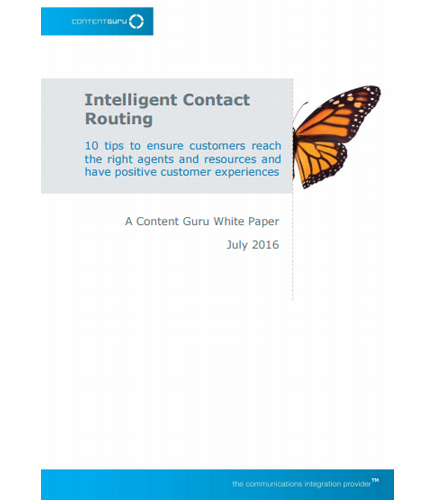 Read this whitepaper which discusses ways in which organizations can efficiently, quickly and consistently conduct the customer contact routing to the right resources, every time for better customer experience.